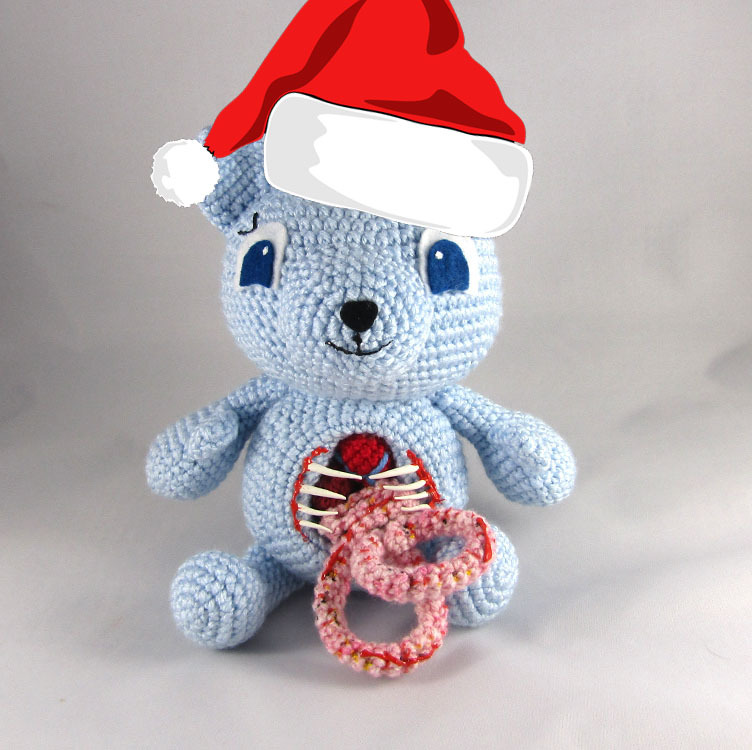 Some more goodies I had made for presents this year! 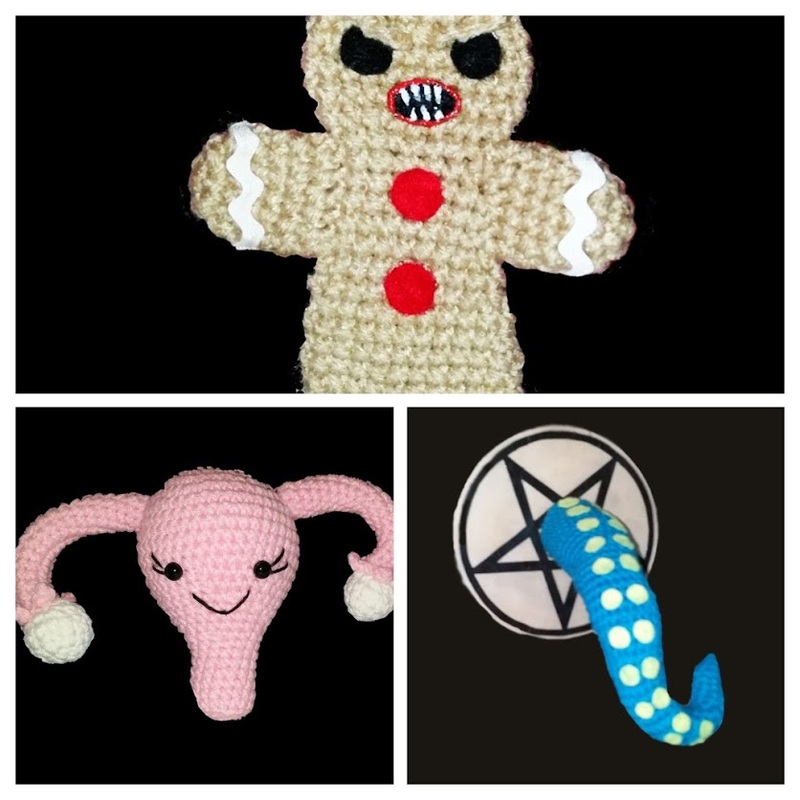 An angry Gingerbread man, a Cuterus and a faux taxidermy tentacle! 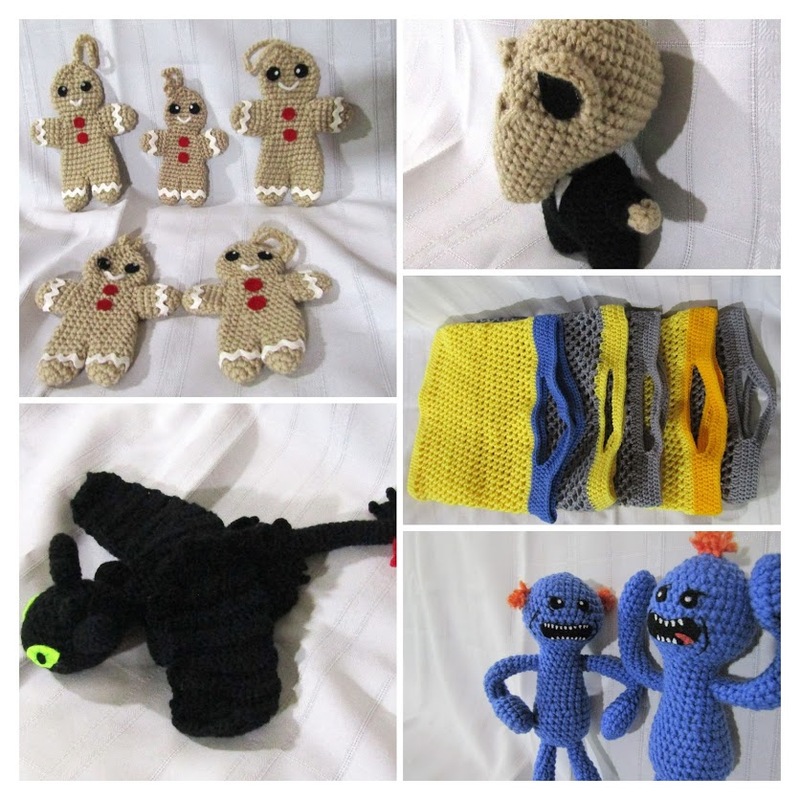 Here’s some Gingerbread Men ornaments, a Silence doll, market bags, 2 Mr Meeseeks and a Toothless dragon toy!